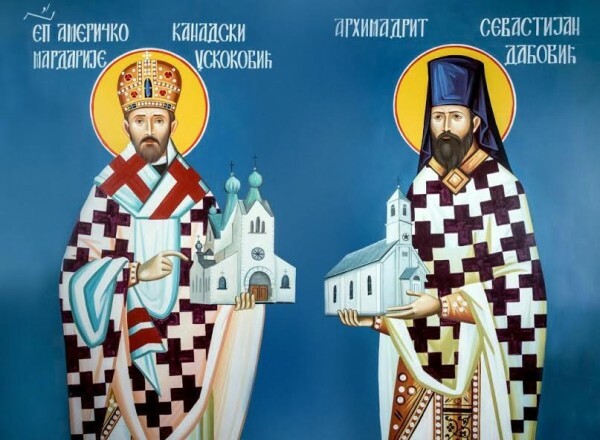 The first American-born Orthodox Christian priest was among two saints canonized Saturday morning during a ceremony at St. Steven’s Serbian Orthodox Cathedral. St. Sebastian, the American-born man, and St. Mardarije were celebrated during a 9:45 a.m. canonization service that followed a grand procession of nearly 100 interdenominational church leaders. The procession was led by the 85-year-old Patriarch of the Serbian Orthodox Church, His Holiness Irinej. Irinej is the 56th patriarch in a line of popes that originated in 1219. About 1,000 attendees were there, pushing into the cathedral’s overflow space, Fr. Russell Radiocich told City News Service.